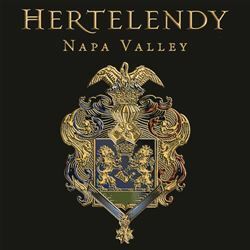 Hertelendy Vineyards is an allocated, small production, luxury Napa Valley Winery founded in 2013. Proprietor/Vintner Ralph Hertelendy produces very limited quantities of Napa Valley Bordeaux varietals as well as Chardonnay from the Russian River Valley. Our "Rockwell Ridge" estate vineyard is Howell Mountain adjacent at an elevation of 1365 feet. Consultant: Phillip Corallo-Titus.